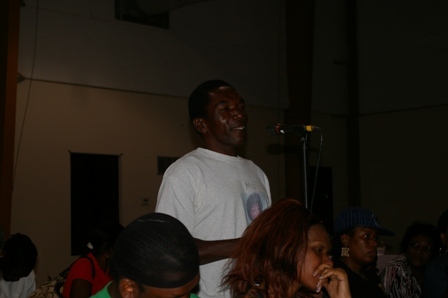 (CHARLESTOWN, NEVIS –April 6th, 2011) Premier of Nevis, Hon. Joseph Parry in his continued effort to forge stronger relationships with Nevisians living abroad, will meet with nationals and friends of Nevis in St. Thomas in the United States Virgin Islands and Tortola in the British Virgin Islands this weekend. The Premier will be accompanied by Deputy Premier, Hon. 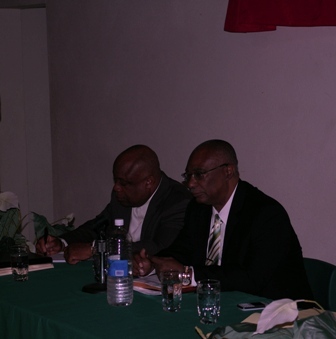 Hensley Daniel, Minister of Communications, Hon. Carlisle Powell and Advisor to the Premier, Mr. Llewellyn Parris. The delegation will meet with nationals and friends of Nevis in Tortola at The Marinas Inn on Friday, April 8th at 7pm and on Sunday, April 10th in St. Thomas at Victors Hideout at 7pm. The meeting will include brief remarks from the delegation, followed by a detailed power point presentation on the accomplishments of the Nevis Reformation Party (NRP)-led Nevis Island Administration and a question and answer session. “I look forward to dialoguing with the Nevisians residing in St. Thomas and Tortola and hearing the suggestions, comments and questions from those in attendance,” said the Premier.